There are moments in your life when dreams do come true. That moment when it suddenly hits you, that split second you realise a dream will come true. That feeling is priceless! I highly recommend it. It happened to me about two weeks ago. I didn’t think this dream would ever come true, because I gave up on this one. But two weeks ago I decided to still persue this one and it will happen in a few months. The moment you decide it will happen and you know it will happen. Endorphins all over the place! The 31th of may I will ride my very first official motorrace! About 5 years ago I made a promise that before I turned 40, I would do an official motorrace. I really don’t know why I wanted to do it, but I just felt like I had to. At that time it didn’t seem that realistic at all, but eh, you need to have a dream. I got some track experience here and there, I even went to Spain for a week of training. To be honest I was one the slowest. Two things: my motorcycle was kinda slow and I don’t have the gift of being fast. I guess it’s theme in my life. After getting a faster bike, I still not satisfied with the results. So I thought, you know what, I tried, I’m just not good at this. And I don’t really have a decent budget for this. Let’s focus on running and CrossFit. I made that decision and it was good. I focused on my running and Crossfit and I loved it, actually I still love it! Never want to do without it. A month ago all my biker friends posted their racing plans on Facebook. 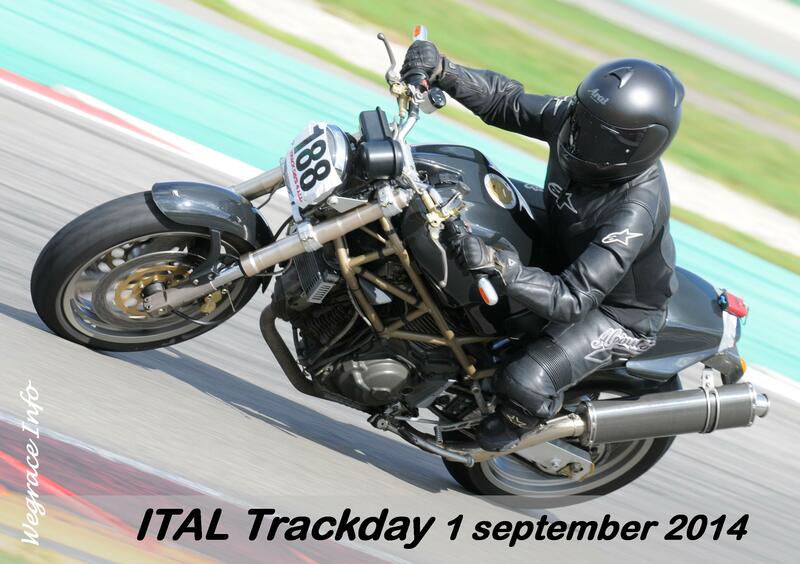 And this year there is a ladies racing cup at the annual Ducati Club Races. But that still didn’t win me over. Not until on of my best friends posted she signed up for the Ladies Cup. At that moment I knew I had to do it. Very owesome Natalia!! I saw your entry in the Lincoln Ladies Cup just now, and I’m very proud of you!! What bike will you be “running” ?